I met Hani a few years ago working on a really cool styled shoot and now she and Nathan are expecting a little extra special Christmas eve gift!! 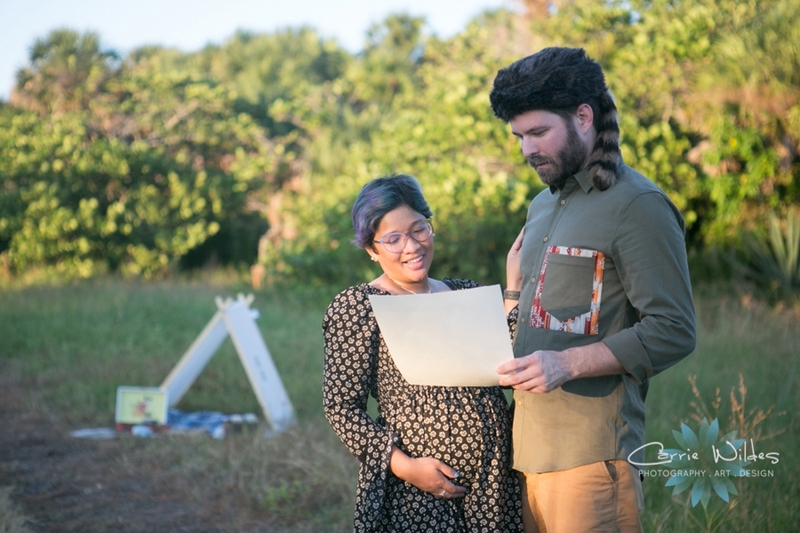 When we were planning their session they totally love Wes Anderson and wanted to do a Moonrise Kingdom styled shoot. The thing I love about this shoot beyond all the fun details is that when we did their unveiling session they said these are just “so them”. Their road map has destination parenthood on it, and just the beginning of their greatest adventure yet!! You can't tell in the photos, but this session was super chilly!!! 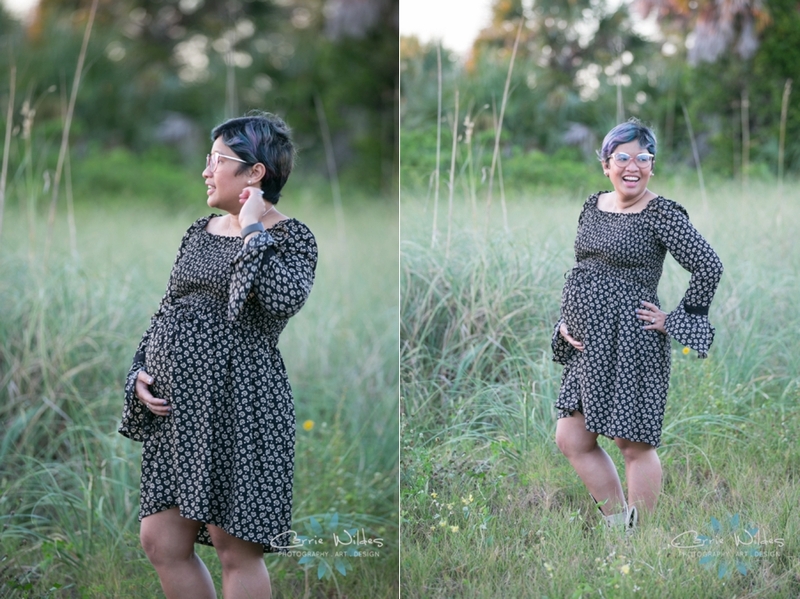 (by Florida standards anyway:-) I love the dress and colors that Sapna chose for her family's attire, it looked so perfect with the prettiness of Hyde Park! We already did little Mr. Krish's newborn session so you'll see that coming at ya next!! 4 years ago in September we had the honor of photographing Heather and Adam's wedding, this summer they are going to become of family of 3! 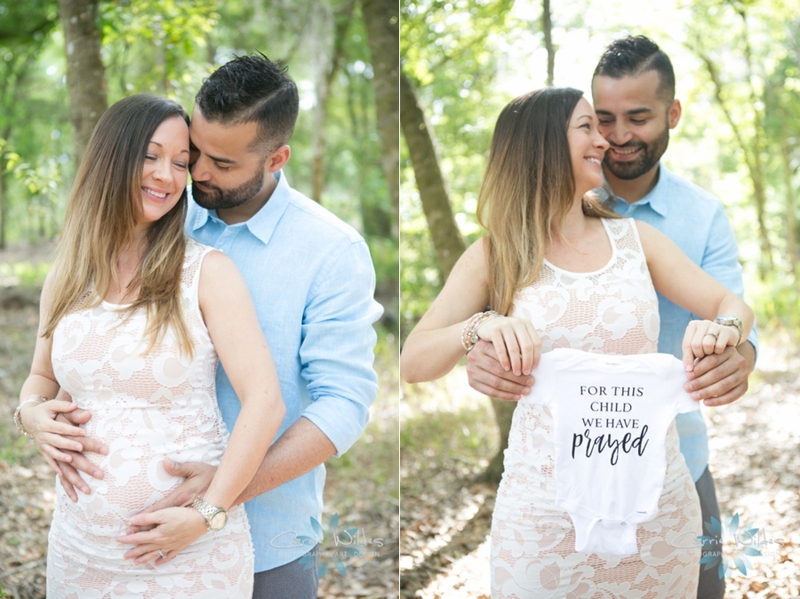 Nothing makes me happier than when our couples come back for us to document them becoming parents. It's not even just getting to photograph them, but hearing and getting to be a part of their life story. We had a last minute location change that was random but totally ended up being even better than our original location. 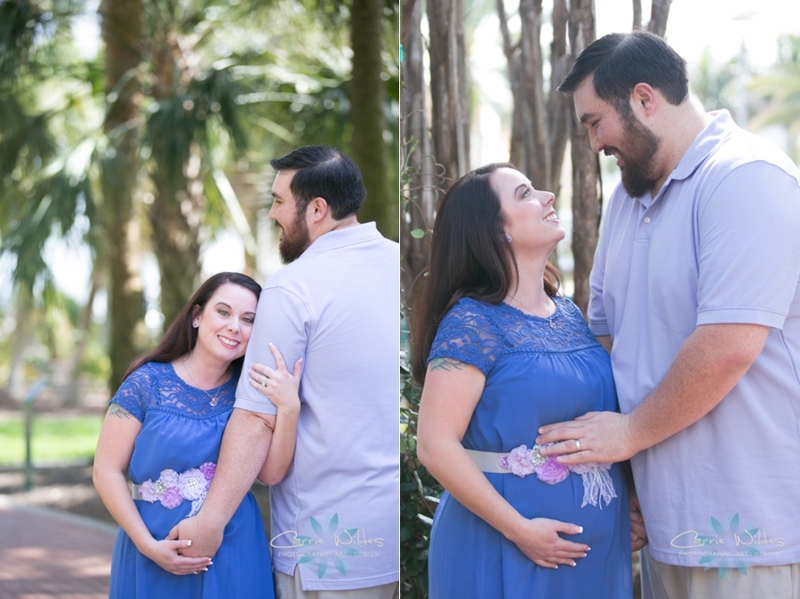 Heather and Adam, so excited for you guys and looking forward to meeting miss Analeigh!!! 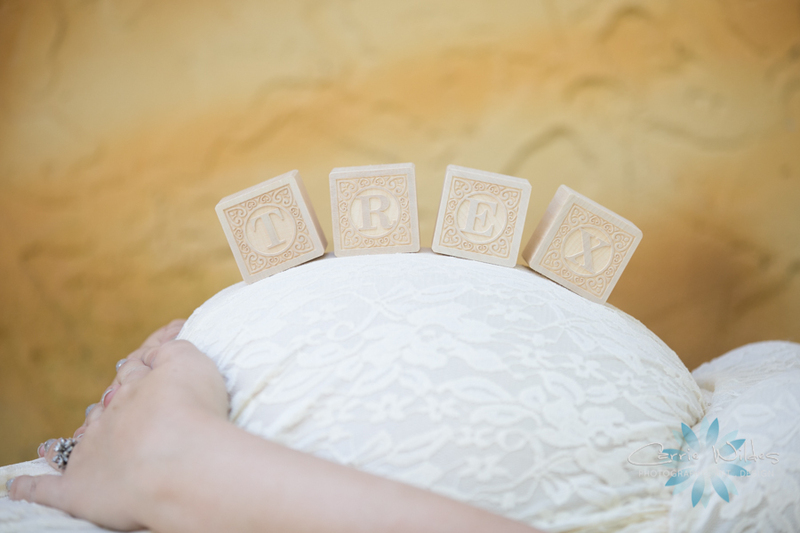 This was an extra special maternity session at Dinosaur world:-) Kristin has a dinosaur themed nursery planned for their little T-Rex that's on the way. I love this location because besides the dinosaurs there's so many tall trees with gorgeous light streaming though. 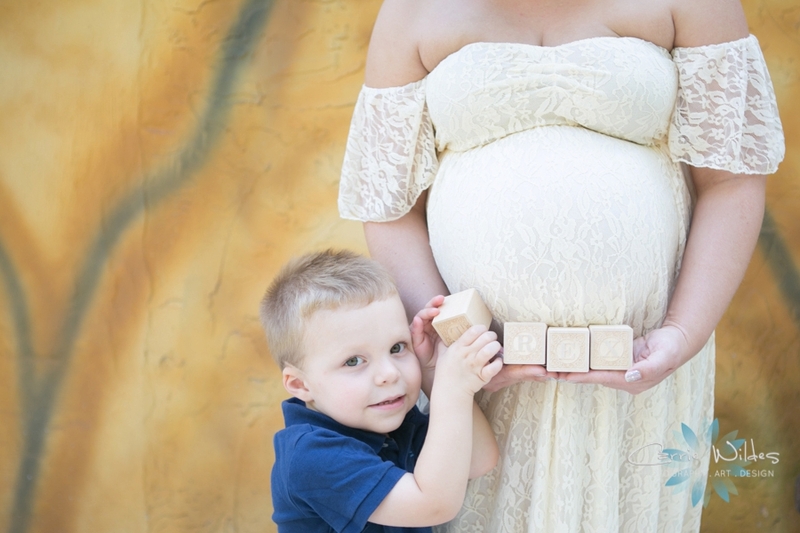 How cute are those wooden T-Rex blocks on the belly? The best part is that we photographed their wedding 4 years ago and I absolutely love seeing them become a family of 4 and can't wait for their newborn session! You might remember these 2 from the beautiful back yard wedding with their moms and grandmas we posted in March. This shoot with them is an espeically unique one that I wanted to share! (Thanks Marissa for giving me permission to:-) Scott and Marissa had planned to do a destination wedding this coming fall in Costa Rica, and the backyard wedding was specially because their 3 grandmas couldn't travel there. Just a week or so after their wedding here, they had a little surprise that changed their plans. Marissa found out she is pregnant and due this fall! She had already bought her gown, and signed every paper that said she couldn't return it for any reason so why not do a photo shoot with it? It fit her perfectly with that little baby bump, we even did a first look with her and Scott since he hadn't seen it on her. Le Meridien was the perfect spot with the columns and marble wall they have inside. Charlie, one of their staff members went way above and beyond to help us with anything we needed and was so sweet. Everything works out how it's suppose to and I love that I got to do this session with them! Real talk on sometimes what happens with weather in Florida! 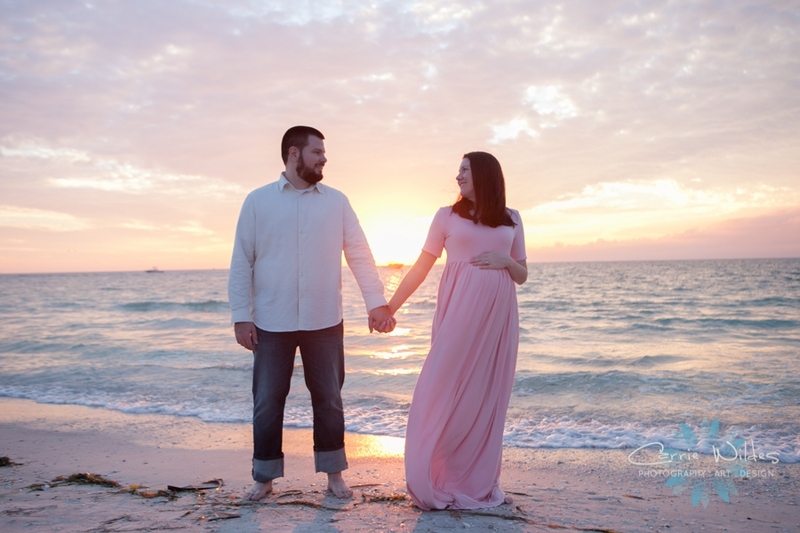 I was so excited to do Katie & Zach's maternity session at Fort Desoto #1 because they are expecting their first little guy and #2 because I just honestly love them:-) This was our first attempt, which you can see the storm clouds are rolling in and literally it started pouring just a few minutes after we started. We tried to reschedule 2 more times and each time it was like 1000% chance of rain. Needless to saw we are going to do a newborn session once Landon arrives but I love these just few minutes we had! Cinda & Tyler's family will have a new little addition in the coming weeks to make them a party of 4 (dogs totally count:-)! I LOVE Cinda's teal dress it looks so pretty with all the green and fountain in Hyde Park. Their dog Addie was so sweet and it was pretty toasty but she powered through. 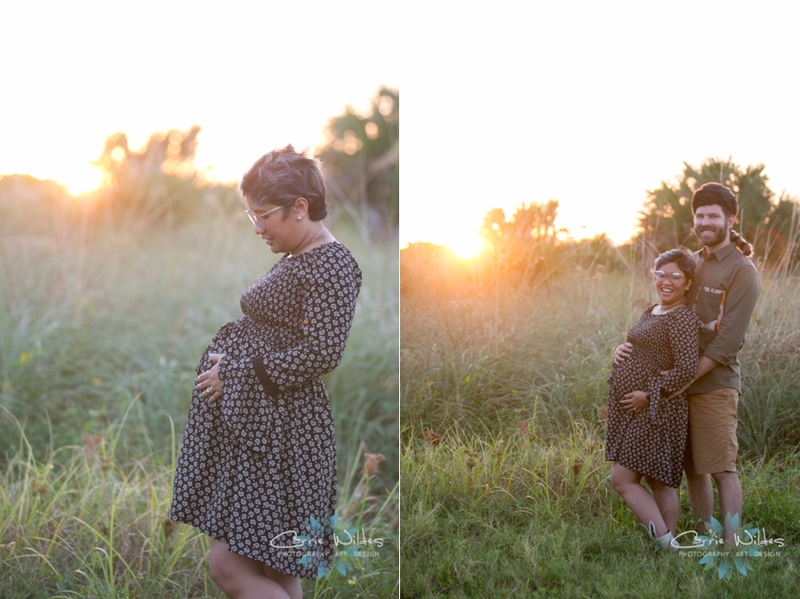 These are some of my favorite moments with them, I can't wait to meet their little boy!! Lyani & Darren Featured On Grey Likes Baby! Lyani and Darren's adorable Modern Gender Reveal session complete with 100 balloons has been featured on Grey Likes baby! 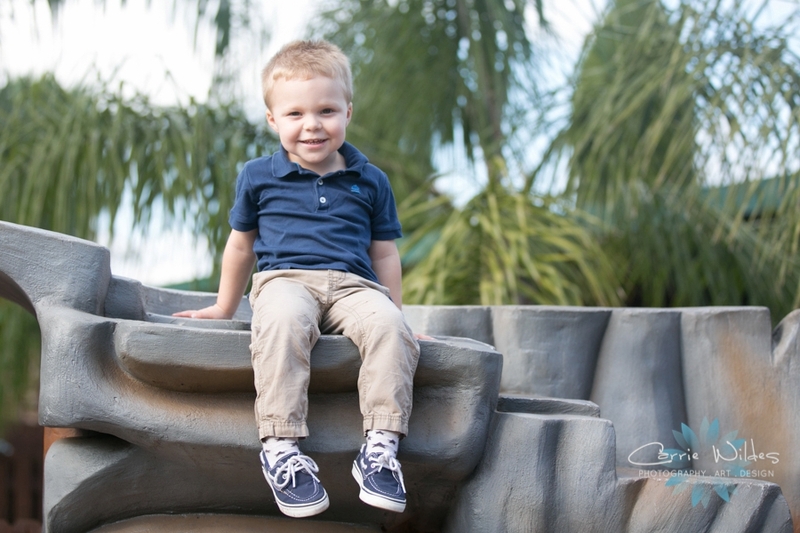 Stop by to see more of this sweet couple's story! Tiffany and Phil are expecting to be a party of 3 in October! I love that their # is #rymalpartyof3. Tiffany looked beautiful, and we just did a pretty outdoor casual feel. She asked me if Phil could be in a few, which of course the answer is always yes:-) Phil acted the normal guy but ended up looking very model-y:-) I'm so excited to meet their new little guy very soon!! Jayde wanted a pretty, flowy, beach session and I have to say, this couldn't have turned out more perfect! The storm clouds rolling in made for those nice textury clouds in the sky and it was a gorgeous sunset. 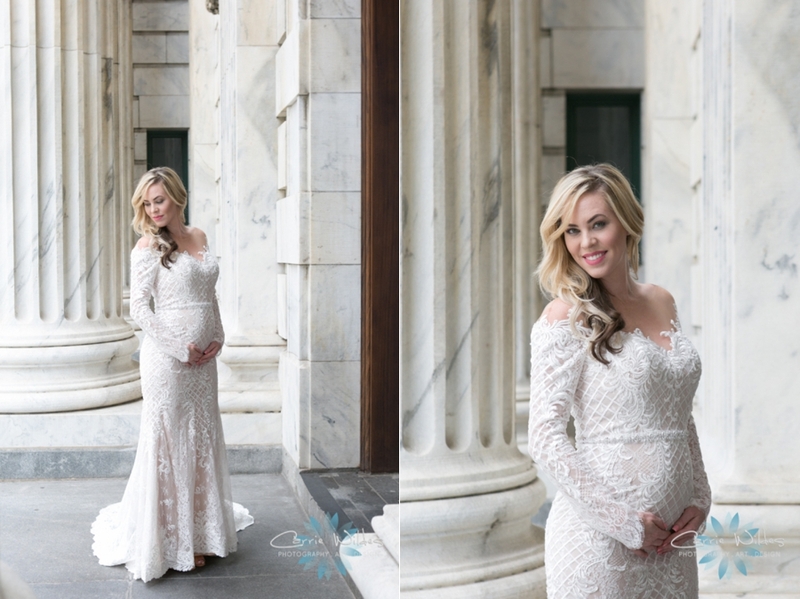 Michelle, from Aquali Bridal was there to make sure here hair and makeup was on point. 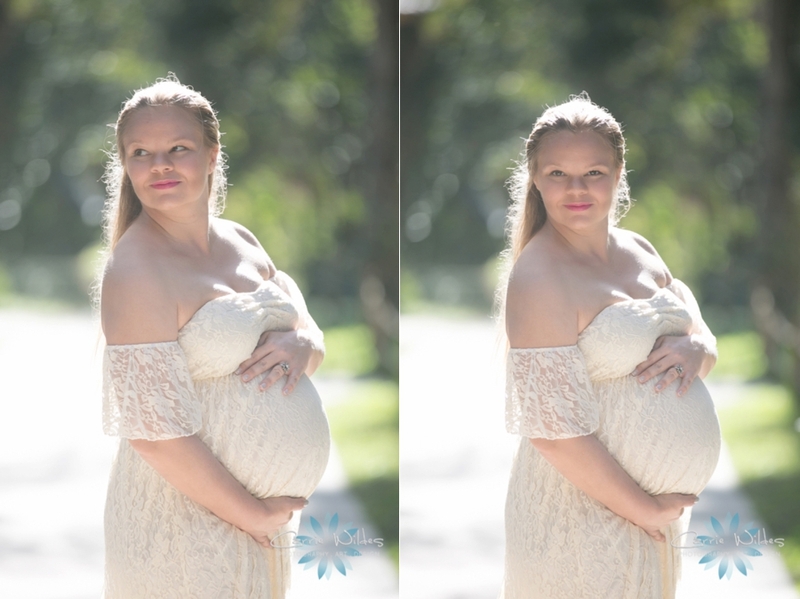 Jayde is due in just a few weeks and she looked so beautiful! Just as it was about to start pouring, I was trying to do something cool with the coral umbrella and that last shot is still my favorite!